A new book on immigration and inclusion by the former Prospect Editor lays out a vision of a shared future Britain. Sunder Katwala, director of think-tank British Future, reviews the book, and the author David Goodhart responds. Jump to the author's response. 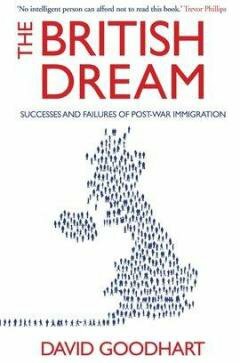 The British Dream: Success and Failures of Post-War Immigration David Goodhart, Atlantic. ‘There are too many of them’ (numbers); ‘they are taking what’s ours’ (resources); and ‘they’re not like us’ (culture). Those are invariably the arguments made against immigration, though the habitual final flourish ‘and we’re not even allowed to talk about it’ is of ever decreasing plausibility, and so is sensibly omitted from this book. David Goodhart certainly thinks there were too many immigrants to Britain, both in the “great arrival” from 1948-92 and the larger (if less psychologically transformative) second wave after 1997. His primary concern is not resources but culture, so he worries that too many of the wrong people came too: those least like “us”. (The us of ‘old Britain’; primarily the author’s own white British ethnic group). But his book moves constructively beyond the title question – “Is Britain too diverse?” – of his Prospect essay, nearly a decade ago, which feared that solidarity could not survive in a multi-ethnic society. If half of the point of the book is why “we would not, surely, have started from here”, the other purpose of The British Dream is to set out how, because we are the new “us” now, we must make our shared nation work.This is not the polemic which some of Goodhart’s liberal critics may have anticipated. Rather, it is an anxiously honest and thoughtful tract. Nor is it always the book the author suggests he has written either. Presented as an insurgent call for change, it articulates much that has become a new orthodoxy. This is a book in favour of government policy on immigration; which also promotes the (less contested) consensus that integration and an inclusive, shared identity should matter more. Though it is addressed as an argument to the liberal-left tribe, of which Goodhart regards himself as a dissenting “post-liberal” member, it reads primarily as a fluent articulation of what the moderate liberal-ish British right thinks. Margaret Thatcher is the political heroine of this book, while a Blue Labour version of the argument would have said much more about class and distribution. (Jim Callaghan wins praise too for controversially keeping the Kenyan Asians out, though so does Ted Heath for bravely letting the Ugandan Asians in). The book should challenge liberals to work out which arguments to contest, and where there might be at least half a point worth acknowledging, but almost everyone on the mainstream right, beyond a handful of the most liberal Tory mods, will agree with it. Goodhart’s own glass is mostly more than half-empty; his upbeat title consciously chosen as a counter-weight. But Danny Boyle helps to top the glass up too. It may be close to half-way full by the time we reach a fairytale ending, an imagined history of the next decade where they all lived happily ever after, thanks to well managed immigration, free English language lessons, more apprenticeships, and compulsory voluntary service at 18. David Lammy is London Mayor, while Kwasi Kwarteng defeats Chuka Umunna in an all public-school general election. Goodhart is unusual in having a British Dream where an Old Etonian still ends up on top, but he did go to school there himself. (The author decided to pull the “British nightmare” scenario he had written as a counterweight, instead scrunching his dystopian future of competing populisms, bombs, riots and a fearful segregation into a single paragraph).Contesting the pastThe book’s essentially constructive motivation comes across when it discusses the future, but risks becoming submerged while it yearns for a different past. Goodhart would have liked fewer South Asian immigrants but even more Irish. Being half-Indian and half-Irish by parentage myself, perhaps I ought to feel personally torn by this thought, but can’t work out what to do with it now. Goodhart seeks to bust a “myth of invitation”, whereby the first generation of new Commonwealth immigrants tend to say that they came because they were invited to fill labour shortages. Apparently, the debunking matters, because “if you are invited into somebody’s house they have a duty to treat you well”. (Uninvited guests, on the other hand …). This rather unravels. Goodhart guesstimates that maybe one in ten post-war immigrants were directly recruited as individuals. This curious logic would seem to commit him to a quixotic task of discovering which “invited” immigrants and their descendants may have particularly merited fair treatment –no racial prejudice, perhaps – and which might have been treated more badly with a clearer conscience. This, however, contradicts Goodhart’s sympathetic account of what he calls the “Anglo-Caribbean tragedy”, the treatment of the 1950s immigrants who arrived with such starry expectations of mother England, and his “we’re here because you were there” reading of post-war immigration as the history of post-empire.When is an invitation not an invitation? As the House of Commons legislated for Commonwealth free movement, Tory frontbench spokesman David Maxwell-Fyfe declaimed that "we are proud that we impose no colour bar restrictions making it difficult for them when they arrive here ... we must maintain our great metropolitan traditions of hospitality to everyone from every part of the empire”. Did the new Commonwealth’s blacks and Asians simply fail to decode the polite hypocrisy of what “you really must visit” might sometimes mean in English? Because the general invitation was much more popular than anticipated, it was withdrawn, gradually, from 1962 onwards. That does not mean it was never made. This is all water under the bridge now, but this ‘who let you in anyway’ narrative is an arid cul-de-sac which could make constructing Goodhart’s British Dream that bit harder. “You’re fully part of who we are now - but we do so wish that you’d never have come” offers a poor foundation for integration and a shared identity. Every intelligent British Conservative will be studying how the US Republicans have paid a heavy price for signalling to Hispanics that it struggles to accept that they are equally American. The new BritainGoodhart does not mention that his take on the 1948 Act resembles Enoch Powell’s critique: that it left Britain lacking “a law defining its own people”. He does lambast Powell’s infamous 1968 “Rivers of Blood” interventions as a disastrous setback for both integration and reasoned debate about immigration. By declaring integration impossible for the vast majority of those of Asian or Afro-Caribbean descent, Powell made it harder in practice. Legitimising the ‘send them back’ street slogans of those most hostile to migrants, Powellism made it harder ‘to distinguish reasonable from racist complaints’. Goodhart cites Paul Gilroy’s account of how British popular culture had put plenty of black in the Union Jack by the early or mid-1990s, making anxiety about “reclaiming the flag” rather retro long before London 2012. Success in multi-ethnic Britain has long ceased to be a simple, binary story of white advantage and ethnic minority disadvantage. Goodhart makes the incisive observation that multiculturalism, though premised on the value of cultural difference, seems somewhat allergic to allowing cultural explanations to play any part in explaining the complex interactions of class, race and gender. There is strong evidence for the claim that racism has declined significantly over two generations, though his support for anti-discrimination is undermined by a remarkably sanguine attitude to the evidence that ethnic names on CVs get less job interviews, with ‘clannish’ discrimination excused on the grounds that getting a job in a small office might be a rather intimate, family-like relationship! Goodhart’s critique of multiculturalism is persuasive, strengthened by the nuanced acknowledgement that “it is possible to hold apparently contradictory views about the multiculturalism record”. At its best, a somewhat “patch and mend” multiculturalism “has probably ended up binding [ethnic minorities] into the country more thoroughly than if they had been pushed”. But that achievement may mark the limit of what multiculturalism can achieve too, since multiculturalism has largely been understood as a “minorities” question, not one about a shared national identity, including the majority’s place within it. Goodhart himself becomes surprisingly multiculturalist in the emphasis he places on keeping the ‘white British’ score in different places as a proxy for how British they remain. “You are used to living in a place where people like you set the tone. Many, if not most people, would be happy if there was a significant minority, 20 or 30 per cent – but if you find yourself in a place where you are the minority, a lot of people don’t like that”, he told the Evening Standard in an interview about the book. This takes rather too far a valid challenge to the felt assymetries of post-war multiculturalism, whose blindspot about majority cultures could usefully be addressed by paying more attention to Englishness. The suggestion that white Britons are not psychologically equipped to cope with a multi-ethnic society unless they remain a dominant, two-thirds majority group everywhere, comes close to deploying a “counting heads multiculturalism” that his British Dream ultimately depends on transcending. Goodhart is a child of the 1950s, who opens his preface by declaring that he writes as a “56 year old white British male”. Some children of the ‘seventies, ‘eighties and later, and maybe not only the second or third generation Britons among them, may be surprised to find this important identity conversation still constructed on the surprisingly static “them and us” terms of being primarily an engagement between the old white British on the one hand, and the diversity of ethnic minorities, Muslims and new immigrants on the other. An argument for a “core culture” which integrates new influences, best exemplified by the English literary canon, is a strong one. But Goodhart extends this into a case for the “special rights” of the indigenous majority. This leads him to complain that the Ahmadi Muslims, though he regards them as ‘model immigrants’, have too visible a mosque in Merton. Here, the book gets closer to the centre-of-gravity of debates in continental Europe, where the visibility of minority religions is more likely to be contested in the mainstream as well as on the populist fringe. British public discourse, while vigilant about extremisms, has been more robustly committed to freedom of religious expression. The British Dream can occasionally read as rather a Dutch book. The book does contain many good ideas about integration. The “interesting failure” of Gordon Brown’s Britishness project demonstrates the need to marry the civic story of our popular British institutions - the Monarchy and the NHS, the Army and the BBC – with the everyday experience of a common life, perhaps more to do with regional accents, getting the joke, and reading the local paper. Goodhart is seeking what he calls a “post-racial ethnic identity”, an interesting embryonic idea, for which we lack an adequate vocabulary. He thinks this old country is better suited to “nation-nudging” than nation-building, but some firmer shoves are needed, particularly to prevent school segregation, or to intervene to reverse it where necessary. A key argument is that we talk a lot about integration, but invest almost nothing in it. Extending integration programmes beyond refugees to other migrants, and free English lessons at the point of use, with loans paid back from later earnings, might make integration a matter of practice as well as rhetoric. It is rather harder to pin down whether Goodhart would go further than David Cameron’s coalition on restricting immigration. Goodhart asks “whether there is an optimal population size for Britain, and if so, whether immigration policy should be subordinated to it” but ducks out, saying he would have to write another book to answer it. But precisely this question represents a key fork in the road between the moderate attempt of David Cameron’s government to manage the numbers down, and more foundational scepticisms. On the one hand are those who believe stabilising the population is trumps, so that net migration must come down close to zero, or to 40,000 as an absolute maximum, as Frank Field and Nicholas Soames argue with their Balanced Migration group. On the other are those who believe that the Coalition has now made all of the real world changes which are feasible, short of leaving the EU, resiling from major international commitments, or significantly hampering future growth. Goodhart comes down, somewhat reluctantly, on the side of the status quo, noting that the government would get some credit for trying if it missed its net migration target by 30,000 or so. (He would keep EU free movement, but include “special protections, opt-outs and regional or occupational exemptions”, which sounds tricky). But there is a twist in the tale. With few further workable proposals to reduce the numbers, the focus turns to trying to get more migrants to leave. Goodhart explicitly prefers the “churn” of those who come and go to “settlement”, but the public’s pro-integration intuitions may well go the other way. Churn migration is good for the temporary migrants, who earn some money to take home, but many of the benefits of immigration to Britain come from integration. Time-limiting offers of asylum to five years would discourage integration, and do little to reduce numbers anyway. Continental Europe is behind Britain on integration partly because of the failure of the guest-worker model. Seeking to emulate that now sounds like a retreat, not an advance, for the British Dream. Immigration scepticism has had a potent insurgent oppositional voice, always happiest if able to claim that it has been silenced or suppressed. It seems surprisingly ill-equipped for victory, turning out to be somewhat short of workable proposals which fit the scale of the critique. Migration sceptics remain very much in their comfort zone if fending off accusations of extremism. It turns out to be questions like “what should we do?” and “how?” which prove considerably more discomforting. Faced with the “them and us” case against immigration, there are three possible places that an alternative narrative could seek to begin. Universalists will begin from the foundational objection that there would be no “them and us” anymore if only we thought of ourselves as citizens of the world. (I told you that’s what they really think, retorts the migration sceptic). Goodhart tilts somewhat at straw men in challenging the influence of a liberal universalism, which believes that Burundi matters as much as Birmingham, on immigration policy. New Labour, whether right or wrong, clearly believed a pro-globalisation approach reflected British interests. Curiously, he then misses his own point, by embarking on a brain-drain case that more immigration could be bad for developing countries. This represents an attempt to win the argument within the universalist frame which he rejects. His “national preference” argument ought to be able to accommodate the evidence that immigration controls create win-lose trade-offs between developed and developing countries. That even the post-liberal conscience seems squeamish about doing so too frankly captures how liberal nationalisms do combine commitments to national citizen communities with (weaker) internationalist obligations too. “Open borders” is, of course, one legitimate utopian position, though both a principled concern for good community relations, and the pragmatic fact that we live in an electoral democracy, mean that it would be dangerous (as well as impossible) to pursue it without securing public consent for large-scale migration to Britain. The second, more pragmatic traditional pro-migration case is to crunch the facts so as to declare popular anxieties unfounded. This grounds a transactional offer: that “they are good for us”, so that cutting immigration would mean higher taxes or more debt for existing citizens. (This remains a “them and us” story, so may not develop a sense of shared identity or interests). Of course, the evidence should matter in policy debates, even if it rarely entirely resolves questions of which policy choices we prefer. However, such myth-busting has little efficacy in broader public debate, if it is aiming to do more than raise the morale of those who already reject the myths. The initial instinct of some migration liberals and academics will be to try to fact-check the book to death. They will doubtless chalk up some points on the blogosphere against this generalist tract of a journalist turned think-tanker. Any who are more strategically minded might also recognise an interest in identifying any potential for common ground, if they believe securing public consent for the immigration we are going to have matters. That would make the third approach much the most fruitful: this would begin by asking how we are going to make the “new us” work. This can engage a much broader coalition of interest, since those who celebrate diversity and those who are unsettled by it might recognise their shared responsibility to make these irreversible changes work. Nobody can doubt the public appetite is for a shared future – not the fearful, divided and segregated one. This could be a toxic and polarising conversation, leaving those with anxieties doubtful that they are allowed to voice them, as vulnerable groups retreat out of the understandable fear of being scapegoated. We could talk ourselves into the future that most people fear – how we discuss deeply felt anxieties like “Do the Muslims even want to integrate with the rest of us?” or, correspondingly, “will the British ever really accept me on equal terms?” (for a young British Muslim) could in itself reinforce mutual mistrust or, which is more difficult, build the contact which helps to overcome it. This approach will never engage the fading, ageing minority who remain emotionally invested in seeing the accidental “experiment” of multi-ethnic Britain fail. It may not appeal to impossibilist populists who prefer slogans about conspiracy and betrayal to engaging seriously with choices or trade-offs, nor perhaps a handful of liberal voices who fear that any acknowledgement of economic or, especially, cultural anxieties must always stoke them into something worse. Yet, between those poles, this is already a conversation that is taking place almost everywhere in Britain, and one which would benefit from much more confident civic leadership than our political leaders have provided to date. The idea of a “British Dream” itself may sounds an unfamiliar note in this anxious age. By showing that it is possible to articulate anxieties which many people share, and to ultimately seek a constructive, even hopeful response, David Goodhart has made his significant contribution to one of the questions of our age. The least it deserves is a thoughtful argument, about how we can build confidence in the choices we make about how we want to live together. Sunder Katwala has written a broadly fair and even generous review of my book. He is a friend and a co-thinker/writer in this field with whom I have shared many fruitful conversations, especially since he set up British Future. But I realised reading his review that I don't really know what he thinks about many of the big questions in this field. Does he think the immigration story as it has happened is broadly fine? What about the lack of selectivity in much of the post-Colonial wave? Or the sheer scale of the post-1997 inflow of around 4m in 15 years? Has the alleged economic benefit of recent immigration outweighed any social/cultural costs, as is often claimed? Or is it somehow impossible to weigh costs and benefits in a rational manner in this field? And related to this, whose interests should we prioritise, those of existing citizens or potential new ones? Or do the two never conflict? Moreover, does he agree with my argument that today's Britain is a more open but also a more segregated society than most liberals like to think? I remain largely in the dark on all these big issues. Instead of a head on engagement with these matters Sunder, as with some others on the centre-left, has picked through my book looking for evidence of my views slipping the wrong side of some undefined line. A good example of this comes early in the review when he challenges my account of the "myth of invitation" of the early post-colonial arrivals after 1948. I argue that the vast majority of the 500,000 people who came in that open door period for empire (and former empire) from 1948 to 1962 were not invited in the normal meaning of the term, rather a door was left open through which they walked. Sunder then concludes from this that I believe it was somehow legitimate to treat "the uninvited" badly. I do not believe that at all. I was trying to explain one of the unintended consequences of accidental immigration not justify it. (This distinction between explaining and justifying Sunder fails to grasp elsewhere in my book too.) The point is nobody expected many mainly poor people from quite traditional societies to arrive in the rather conservative working class communities of industrial England, and that set certain patterns of conflict and accommodation and created certain stories on both sides. And because of his sometimes over-zealous patrolling of the Katwala line of legitimacy he attributes various other views to me that I don’t have. I do believe that existing citizens have rights over non-citizens, indeed it is hard to see how nation states can be made to work if they don’t. But Sunder racialises this and says that I believe that the “indigenous majority” have special rights, though later he also concedes that I want to see a post-racial ethnic identity developing. The one more solid area of disagreement between us comes on the question of how to manage immigration in a “hub” economy like Britain’s. I side with the government and public opinion in wanting permanent immigration brought back down to more moderate levels (80,000 or 90,000 a year seems reasonable), but I think there is a strong case for having quite high short term movements in the interests of higher education, business and general open-ness (and the short term immigrants). But that requires a really efficient immigration bureaucracy to make sure that short term movements remain short term and may also require a more overt distinction between the full rights of permanent citizens and the more limited rights of temporary citizens. This would I think be popular and give us an immigration system that works with the interests of existing citizens, not against them as is widely believed (with some reason) at present. One drawback is that the whole thrust of modern human rights law is to reduce distinctions between different classes of citizen and even between citizens and non-citizens. My final point is about the politics of the book. Sunder says my views are not “insurgent” and are already believed by almost everyone on the mainstream right. I have never claimed that my views are radical, though to be on the side of public opinion on these issues is pretty radical on the centre-left which I still regard as my own political tribe. The labour movement was invented in part to reduce competition between workers in the job market and to give working class communities some sense of control over their destinies. It is very hard to see how large scale immigration contributes to either goal and it is in many ways astonishing that a Labour government should have been responsible for the greatest immigration wave in British history. I am very pleased to say that the most angry attack on my book has come from a libertarian Tory (Ian Birrell in the Observer) and one of the most intelligent and sympathetic reviews from Labour’s Jon Cruddas (to be found in the centenary edition of the New Statesman). The political argument here is shifting closer to where it should be.